humanity is the first victim of starvation. Do not dismiss this as some laser blasting, time traveling with little green men of a book (I read and like those as well by the way) Set in a hot and steamy modern Thailand, Bacigalupi has envisioned a world where drought and pest have withered all but the most artificial of crops and corporations fiercely protect their property rights of newly engineered seed. 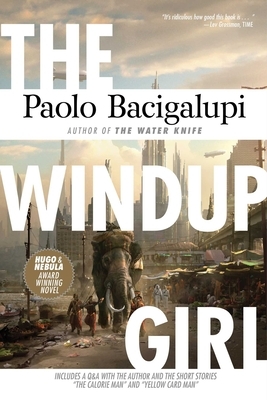 With many character at different levels in the food chain “The Windup Girl” lets you see life in this world from all angels. In a world where the only true currency is food it seems that it is our humanity is the first victim of starvation.